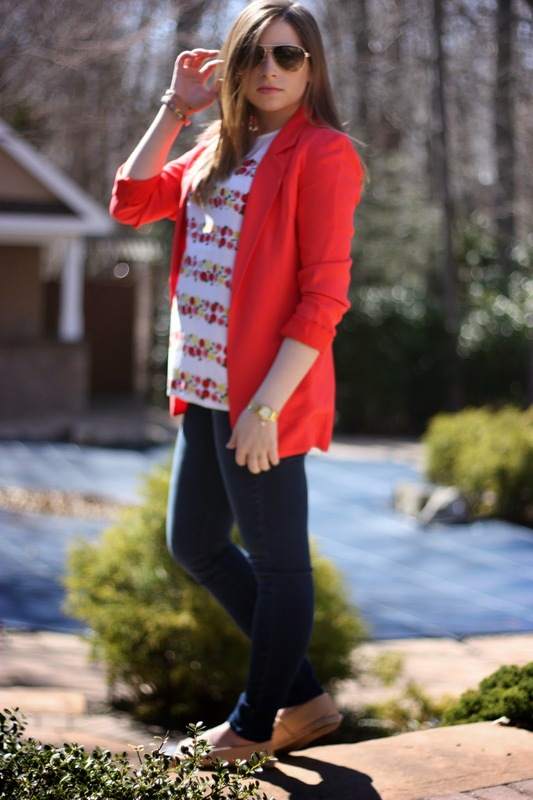 Like I've said in previous posts, something about spring just brings out the girly-girl in me. 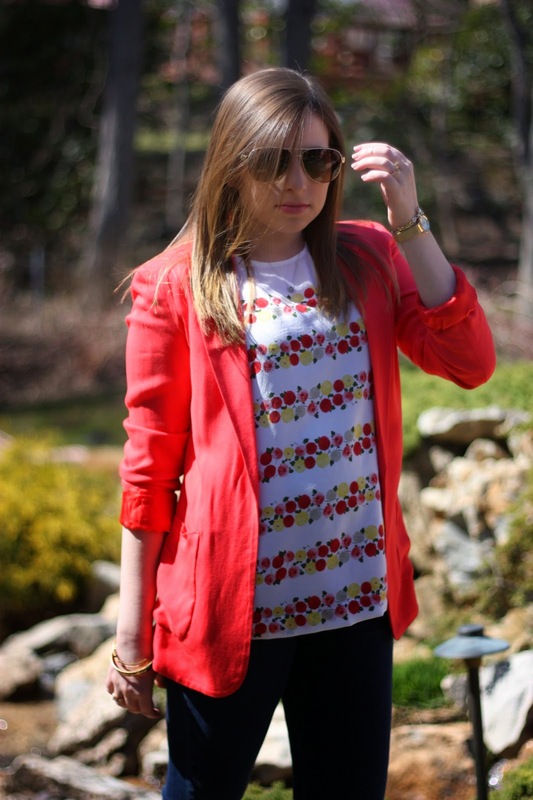 I mean bright florals combined with an even brighter blazer, only the warm weather could inspire such a look. But aside from the overload of brights taking over my top half, I must also discuss the jeans. Now, these are the new J Brand stocking jean and in a promotion J Brand held an instagram contest where you basically just had to like a photo to win a pair of jeans. Somehow I magically won that contest. I know, it's crazy, like I honestly didn't think it was possible to win one of those contests. But regardless, about a week later these jeans were delivered and I must say they are one of the comfiest pair of jeans I've ever worn. They really hold true to their promise of ultimate comfort while holding their shape. 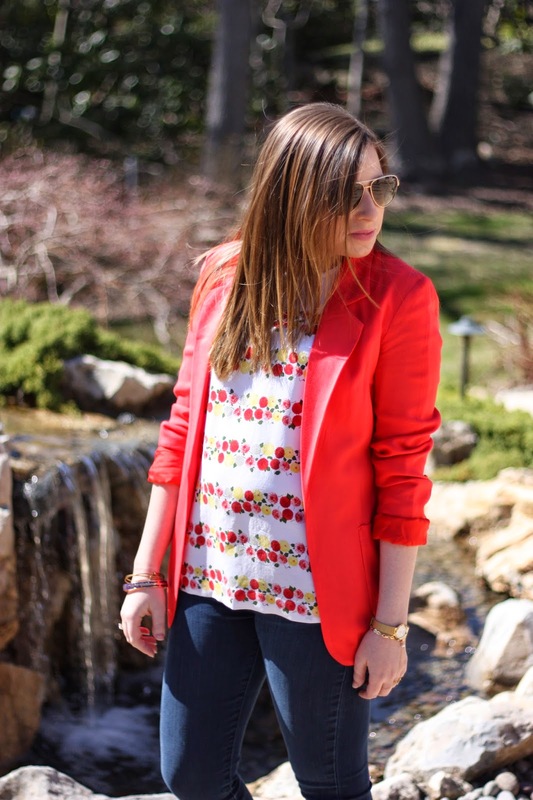 It's safe to say these jeans will be a go-to item in my spring wardrobe.